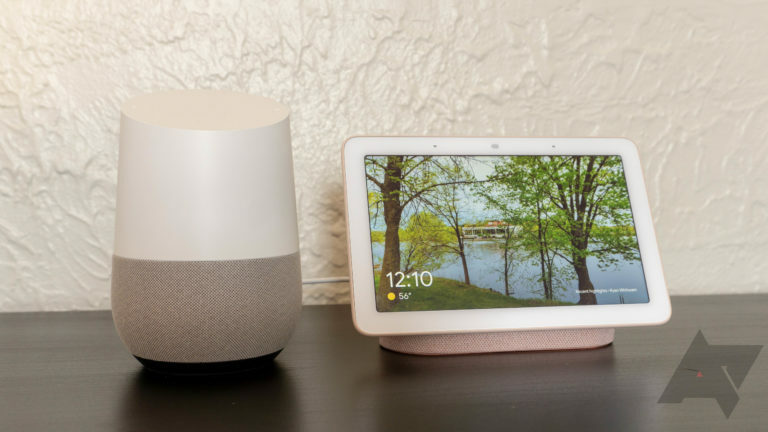 If you own a Chromecast, a Home Hub, or a Smart Display, you may soon notice something different when using Google Photos in Ambient mode. Instead of showing up centered, two related pics will display side-by-side. The change was noticed a few days ago by our tipster on his Chromecast, and now Google has made it official in a Home Hub support document. This new behavior seems to be coming to all devices capable of showing Photos in Ambient mode then. 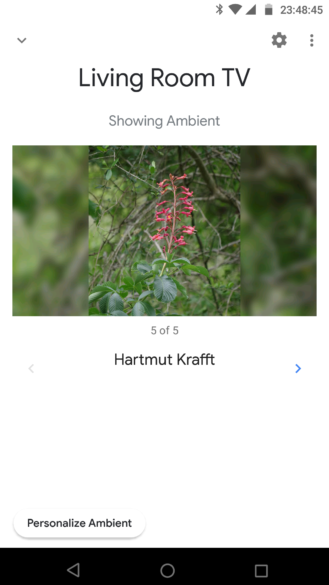 Portrait photos are now shown in a side-by-side format, with two related photos. Google Photos uses a number of signals to relate photos, including if they have the same person in them (in territories where face grouping is enabled), were taken close together in time, or were taken close together in location. Now, two photos will be picked based on having the same person or being taken around the same time or place, and will be shown next to each other. 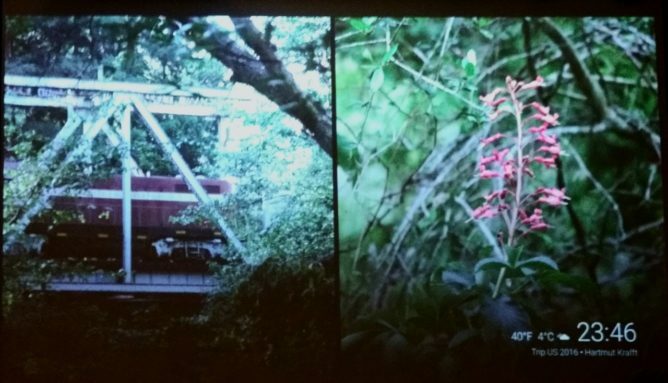 We only have one image from our tipster, and it's in less than ideal lighting, but you can see his Chromecast showing two pics side-by-side on his TV. This change hasn't rolled out to my JBL Link View yet, but odds are it will come to all Smart Displays and Chromecasts soon.